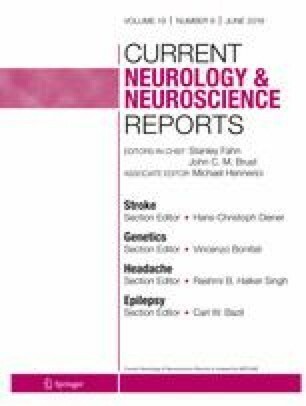 This article reviews nummular headache (NH), including the latest literature on the epidemiological and clinical features, the most recent proposed pathophysiology, and novel management. NH is characterized by continuous or intermittent head pain confined to a focal circumscribed area (1–6 cm in diameter). It is usually of mild to moderate intensity, although some patients have severe continuous pain or disabling exacerbations. NH is a primary headache, though many secondary cases have been described. Evaluation requires exclusion of systemic and structural diseases. Gabapentin can be recommended as a first-line preventive treatment. If poorly tolerated or in refractory cases, botulinum toxin is a reasonable alternative. NH is a fairly common disorder in patients presenting to a headache clinic. Increased understanding of NH will lead to improved outcomes. Clinical trials would lead to enhanced knowledge of NH. Danielle Wilhour and Claire E.J. Ceriani each declare no potential conflicts of interest. Stephanie J. Nahas reports personal fees from Allergan, Amgen, Avanir, electroCore, Eli Lilly, Supernus, Teva, and Biohaven, outside the submitted work. Schwartz DP, Robbins MS, Grosberg BM. Nummular headache update topical collection on uncommon headache syndromes. Curr Pain Headache Rep. 2013;17. https://doi.org/10.1007/s11916-013-0340-0. Rodríguez C, Herrero-Velázquez S, Ruiz M, Barón J, Carreres A, Rodríguez-Valencia E, et al. Pressure pain sensitivity map of multifocal nummular headache: a case report. J Headache Pain. 2015;16. https://doi.org/10.1186/s10194-015-0523-7.